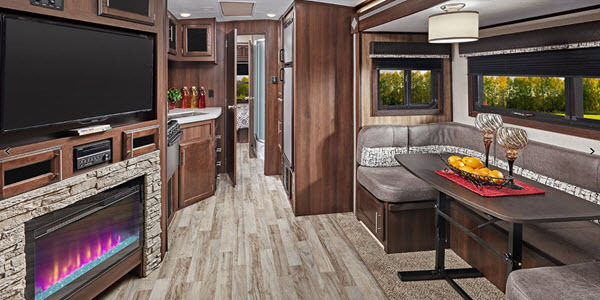 This White Hawk travel trailer is an all-inclusive trailer that gives you the benefits of on-the-road travel while still fulfilling those desires for home. 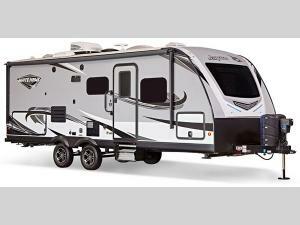 No one will need to be left behind when you decide to take this trailer on your next adventure because this unit can sleep nine people. 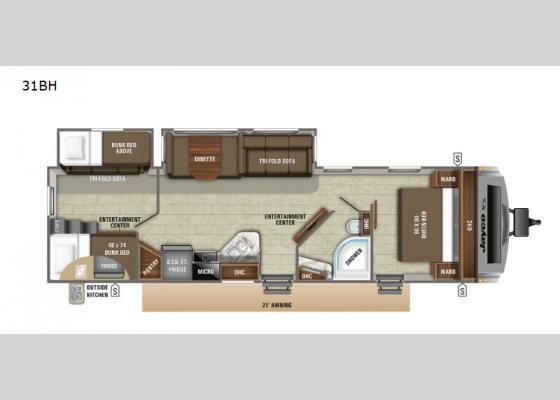 The front private bedroom allows you to have a relaxing escape from the daily chaos, and the private bunkhouse in the rear of this trailer, which includes a tri-fold sofa and entertainment center, is a perfect place to send the kids on a rainy day when they are forced to remain indoors. 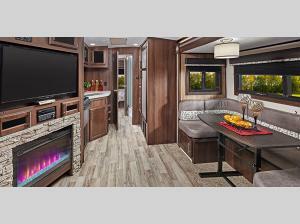 If you must venture to the outdoor kitchen while it's raining, you can feel secure knowing that the 21' electric awning will protect you from any straying drops of water.